When you think about visiting a beach destination in India, the first name that pops up in mind is Goa, and also possibly the famously clean beaches of Kerala. But during the peak travel seasons, these incredible tourist places gets flooded with enthusiastic tourists. And that means, prices of everything hike up to a point where you end up canceling the entire trip! That is quite pathetic, right? But on the bright-side, Kerala and Goa are not the only places to go for a perfect beach holiday! 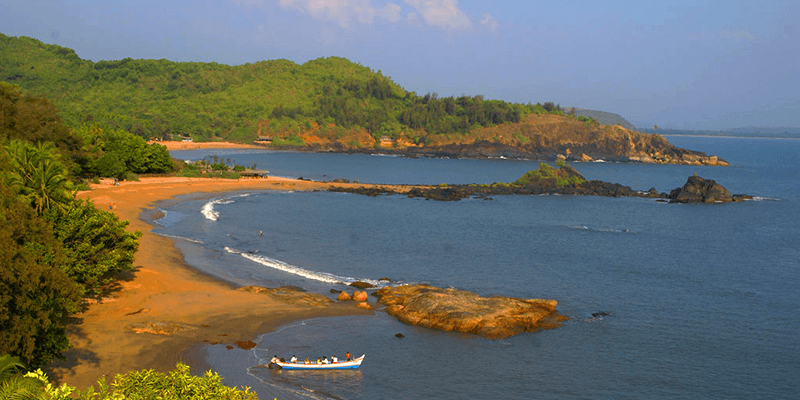 Why not plan your next trip to the coastal city of Gokarna? 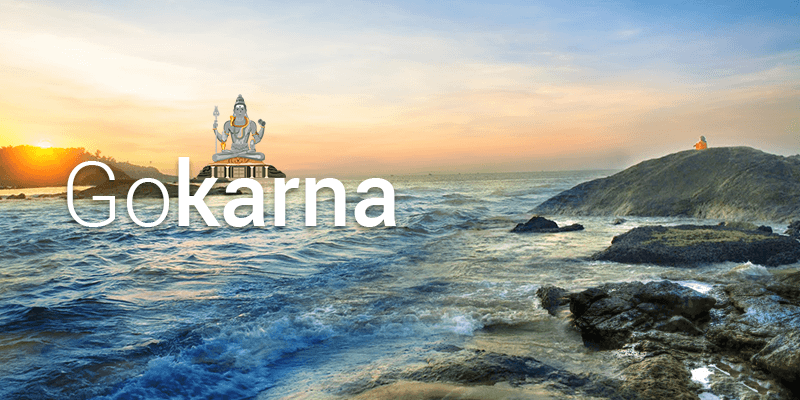 Haven’t heard about Gokarna (in India) yet? 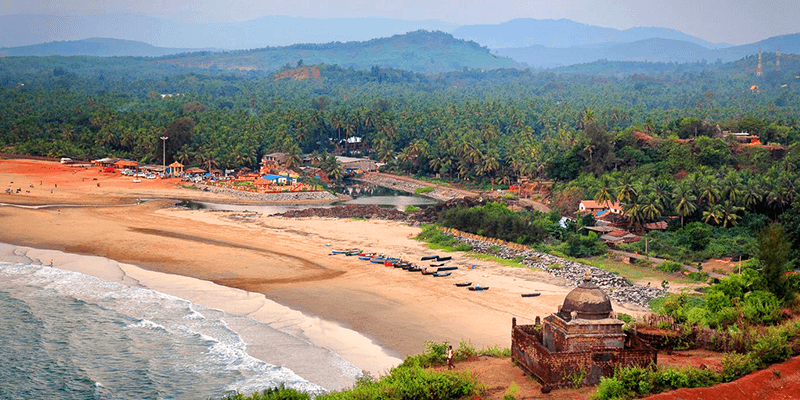 Well, then read on and you will like what is on offer at Gokarna. 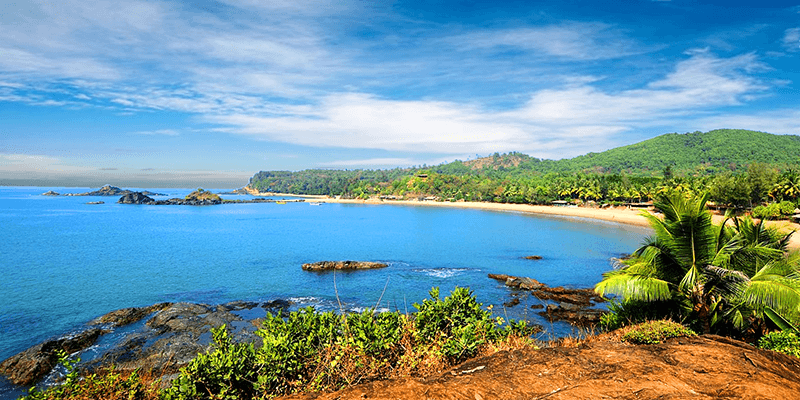 What is so special about Gokarna? Situated on the West Coast of Karnataka, some 50 KM away from Goa, Gokarna was originally a pilgrimage site and is home to many sacred temples. Gokarna means “Cow’s ear”, which might sound funny at first, but there is a reason to why it is called so. It is believed that Lord Shiva, emerged from a cow’s ear in this town. In the present times Gokarna is emerging as a beautiful and budget-friendly destination for beach lovers. 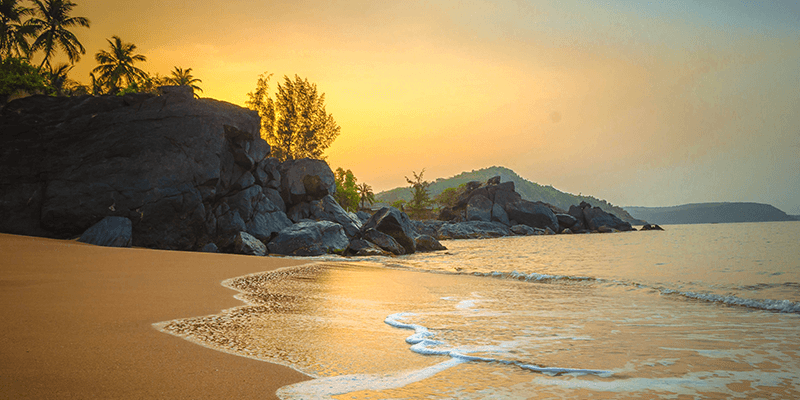 There are many tranquil and scenic Gokarna beaches which help you relax and unwind. 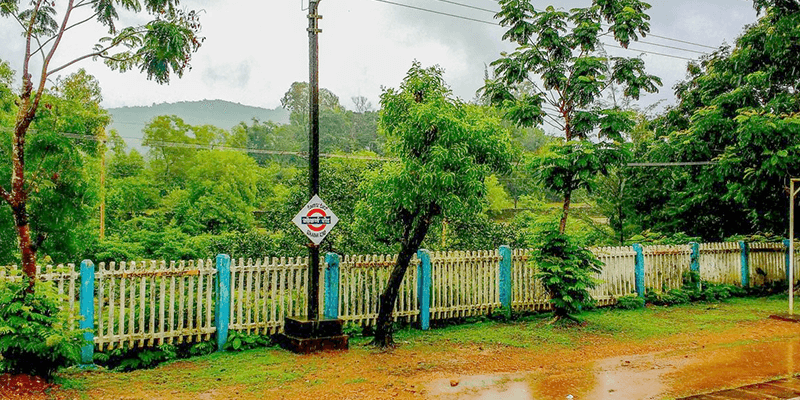 By Train: Nearest railway station is at Gokarna Road (which is about 8 KM away from the main city). However, many people visit this city from Madgaon, Karwar, Kumta, Ankola, and Mangalore too. By Bus: Regular bus services are available from Madgaon, Mumbai, Bangalore, Hubli, Pune, and Mangalore. If you wish to travel from Goa, take a local bus from Madgaon to Karwar. By Outstation Cabs: Cabs are available from major nearby cities such as Mumbai, Pune, Bangalore, Mangalore and Panaji. Booking round-trip outstation cabs allows you to avoid all the walking around required for a trip through all the Gokarna places to visit. You can just relax and let the cab take you there. Gokarna Beach (also refered to as the Main Beach) is well known among the pilgrims to the city. It is not only close to the sacred Mahabaleswar Temple, but it is also believed that the devotees need to take a dip at the beach before entering the holy temple and worshipping Lord Shiva. The beach is decorated with an array of colors during Shivaratri. The sunrise view from this beach is really worth experiencing. Kulde Beach, about 6 KM away from the main city, is the most popular beach in Gokarna. The beach has many rocky cliffs which serve as ideal vantage to get enchanting views of the Arabian Sea. While at the beach you would find people engaged in various beach sports such as volleyball and badminton. There are some great shacks on the beach which offer lip-smacking food. A short walk from Kulde Beach would take you to Om Beach. The beach, when seen from top, has the shape of Hindu religious letter “Om” and thus it was named so. If Kulde Beach is known for its beauty, Om Beach is popular for its array of adventure activities. You can engage in parasailing, surfing, banana boat rides and water skiing here. It is the safest beach to swim, even if you atre non-swimmer. If you are looking for some quietude, then Paradise Beach would offer just that. Known as one of the most serene beaches in India, Paradise Beach is least known by the regular tourists and is also not accessible by any other means but foot. This makes the beach clean and pollution free. The beach has a rustic charm to it. It is filled with rocky cliffs on the edges and lined with coconut trees. It is not the beach to go swimming, it is a place where you can just sit back relax and admire the views of the Arabian Sea. The shacks on the beach offer great sea food. As aforementioned, Gokarna rose to prominence as a pilgrimage destination and this 4th century temple was the site for such visits. Situated on the shores of the Arabian Sea, Mahabaleswar temple (or Gokarna Temple) is a beautiful example of the classical Dravidian style of architecture. 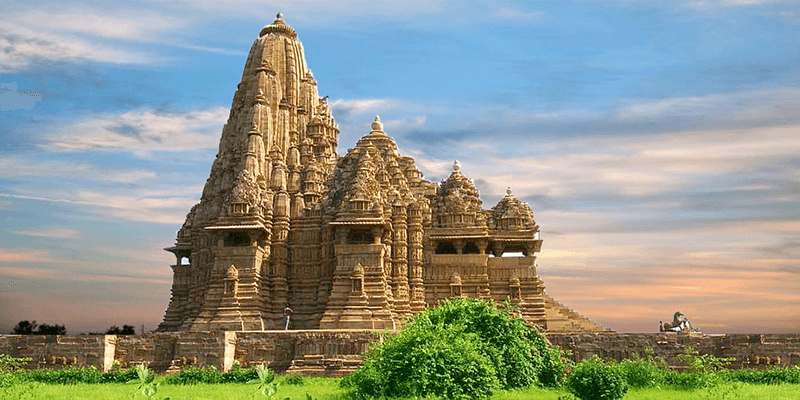 It is believed that the Shiva Linga sitting inside the temple was gifted to the demon lord Ravana by Lord Shiva after being appeased with his penance. The deity is also believed to bestow blessings upon all the devotees who even glimpse at the Shiva Linga. You may also visit other beautiful temples of Gokarna such as Aadi Gokarneshwara Temple, Ganapathi Temple and Koti Theertha. 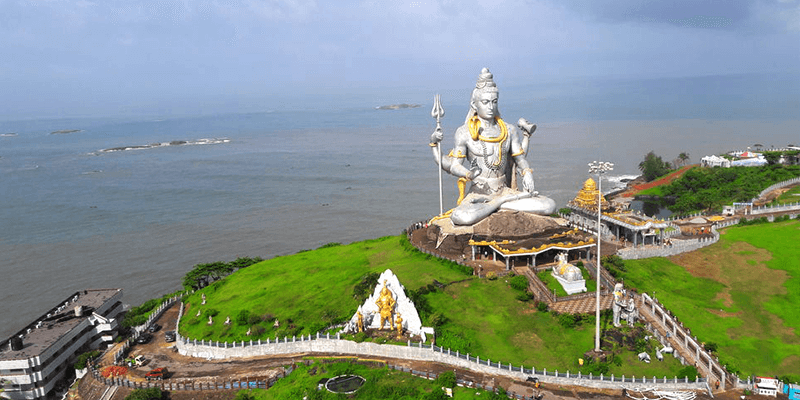 There are plenty of unique places within 100 KM from Gokarna, but a special mention should be made of Murudeshwar (55 KM away from Gokarna). The prime attraction of the town is the gigantic Shiva statues with a height of 123 feet. It is the second tallest Shiva statue in the world (tallest being situated in Nepal). The beauty of the statue is enhanced by the scenic backdrop of the vast Arabian Sea. The statue is designed in a way that it always appears to be sparkling when there is sunlight. 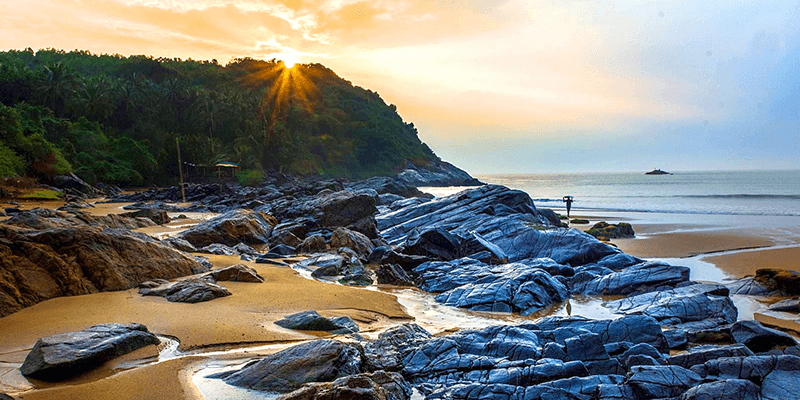 If you like the sun, sand and surf along with a touch of divinity then Gokarna is the perfect destination to visit. A trip to this coastal town would help you understand the meaning of RELAXING! Previous article6 Shimla tourist places you must visit during the winters! Next article6 Places in Pahalgam you cannot afford to miss!